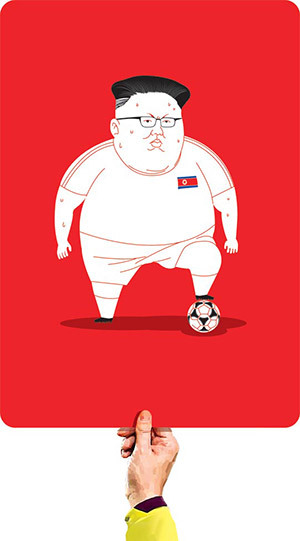 North Korea is finding itself isolated on the international sports scene following its relentless military provocations that have already led to unprecedented global sanctions. Now the Australian government has refused visas to the North Korean youth football team for the qualifiers for the Asian Football Confederation's U-19 Championship. The qualifiers take place in Victoria from Nov. 4 to 8. The North Korean team was to compete in a group with Australia, Hong Kong and the Northern Mariana Islands. "Hosting the team would be contrary to the government's strong opposition to North Korea's illegal nuclear and missile development programs," Australian Foreign Minister Julie Bishop said. "It would also be inconsistent with our efforts to increase diplomatic and economic pressure on Pyongyang to comply with UN Security Council resolutions." The move prompted the Football Federation Australia to ask for the qualifiers to be held in another country even though it would cost the Australian team the home court advantage. The AFC accepted the request and said it is looking for another country. It does not plan to take punitive steps against Australia despite FIFA regulations that ban any political involvement in the sport. Last month Malaysia banned citizens from visiting North Korea due to heightened tensions. The Football Association of Malaysia will therefore indefinitely postpone an AFC match with North Korea scheduled in Pyongyang on Oct. 5. The match was originally scheduled for March but postponed several times after the assassination of North Korean leader Kim Jong-un's half-brother Kim Jong-nam at Kuala Lumpur airport. 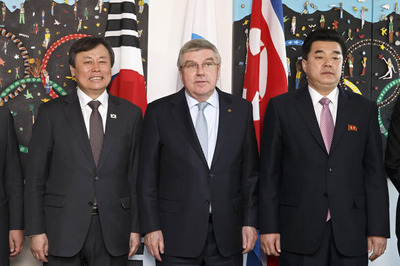 Only the South Korean government remains keen to get North Korea to take part in the 2018 Pyeongchang Winter Olympics. Last month, North Korean figure skaters Ryom Tae-ok and Kim Ju-sik became the first North Korean athletes to qualify for the games.